After the popularity of Tau Ceti, it was inevitable that a sequel would appear. 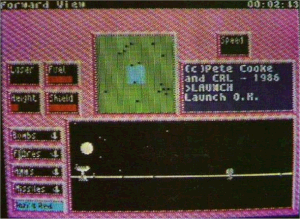 Pete Cooke was responsible for the original game on the Spectrum, and John Twiddy the C64 version. 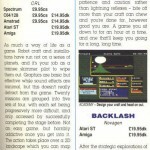 The C64 version is confirmed by the release platforms in the ACE magazine feature. Read Attack on Centralis for more info, but basically John Twiddy was working on this unofficial sequel, but had it turned down by CRL before it could be finished. Pete had however started an official sequel called Academy and finished it on the Spectrum. 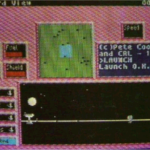 By this time it seems that John Twiddy had moved onto pastures new, namely System 3, and left CRL without a programmer with possibly enough knowledge to create a conversion of Academy on the C64. So the game never surfaced. So could Academy have really been finished off by John, but for reasons unknown unreleased? Maybe John left just before his conversion was complete. It is big news, but John Twiddy is trackable, so who knows what could be uncovered in the future. 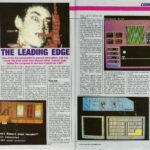 Jeff Lee confirmed he was mastering the Spectrum version, but never recalls seeing a C64 version at any point. Was it canned early on? Does anyone know how to get in touch with John? Still nothing new i’m afraid. If Clem believes a C64 game was produced, then it must have at the very least been quite a long way along for him to remember a conversion. Usually, Clem has been pretty conclusive when confirming conversions were started/cancelled. It certainly was never released though, which begs the question why and is something we don’t yet know. Once I finish some other projects and spend more time on GTW64 again, my next step would be to contact anyone who was coding C64 titles at CRL at the time to see if they may know more. Ian Foster for instance or Jay Derrett. Just to qualify my last comment: Academy did get released for the Spectrum. It was a multi-loader that took me a whole night to make the master tapes for! It’s the C64 version I don’t recall ever seeing. I took most of our screenshots, and probably took this one. Sometimes I took shots of demos for promotional purposes a long time ahead of launch. The article clip looks like a news item about upcoming titles. Our sales people may have supplied the magazine with my demo pic and the different prices on the versions should they have been released. BTW – your Attack on Centralis link is dead.